Our clients were building up from the original bungalow and wanted a staircase to access the new first floor. 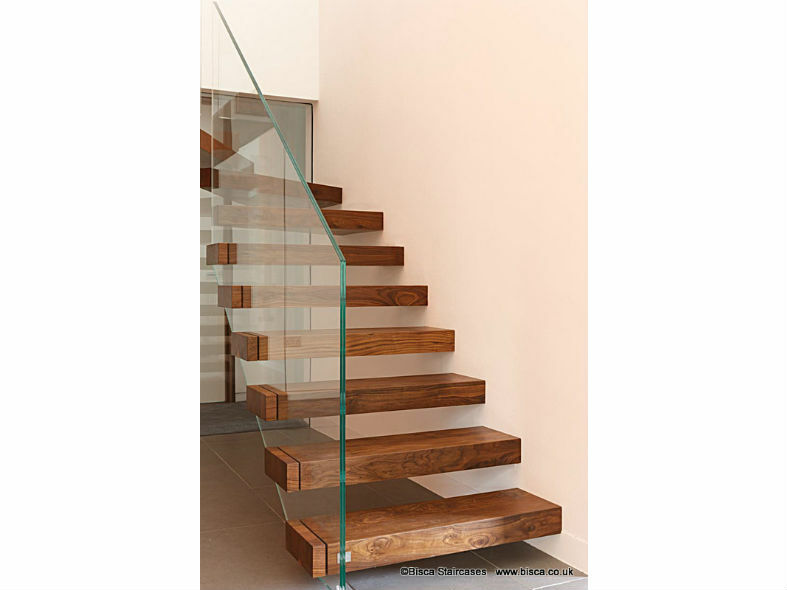 A structural glass wall was also part of our brief and supports the mid-section of the staircase. 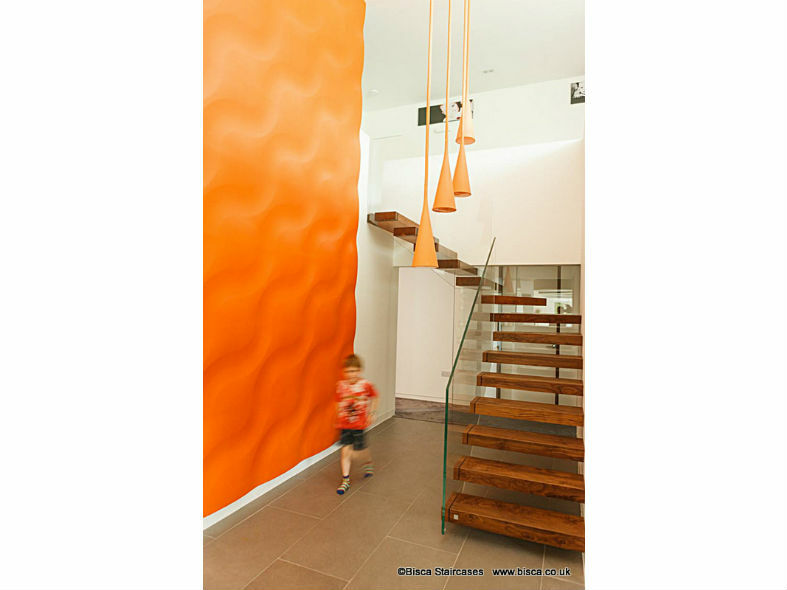 The wall has the effect of keeping the space as open as possible, whilst allowing light to flood into the corridor beyond. Concealed steel structures support the lower and upper stair sections to achieve a staircase that appears to float. 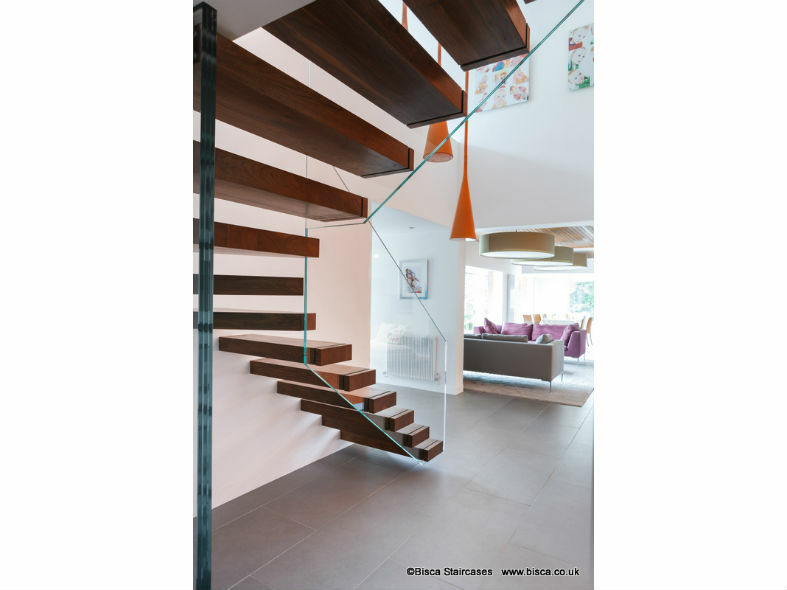 Luxurious walnut treads provide a warm contrast to the crisp white walls and laminated low iron glass balustrades. Cosmetic walnut tread ends with continuous grain conceal the balustrade connections. 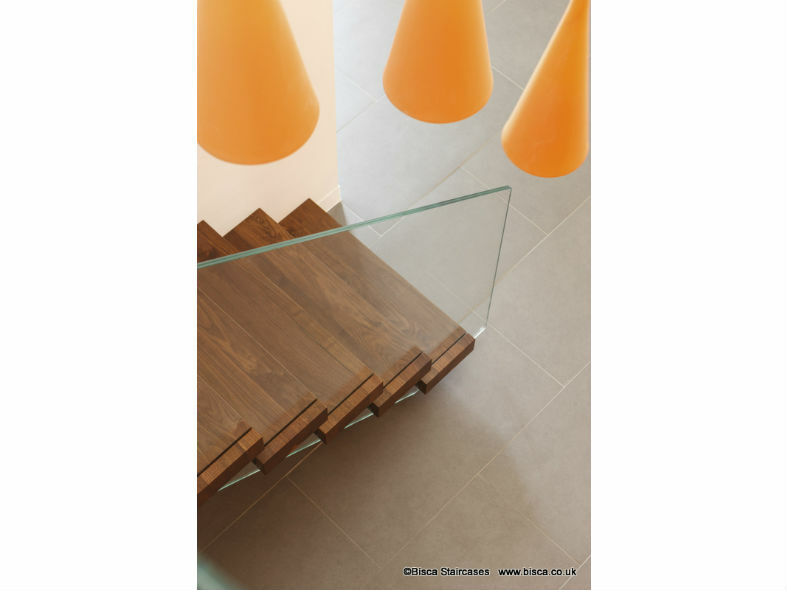 These tread ends, with the famed Bisca attention to detail create the appearance of treads passing through glass. The staircase looks fabulous. It is exactly as I hoped it would be and really sets off the living space. 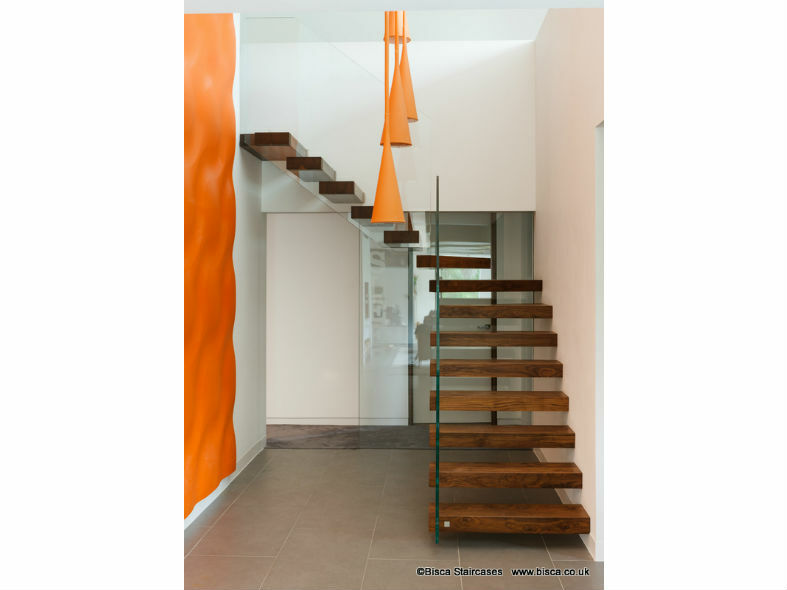 The staircases in this profile are just a small selection of case studies of completed projects. To see more designs please visit the galleries on our website or email us.